Several days ago, the Sony Xperia E was announced officially, thus becoming one of the most affordable Android handsets in the company's portfolio. It is an entry-level smartphone equipped with a 3.5-inch HVGA touchscreen display, processor running at 1GHz, 3MP camera, and a 1,500mAh battery that should provide satisfactory battery life. Not too impressive, we know, but don't forget that we're dealing with a device meant to be easy on the budget. But just how cheap is the Sony Xperia E? Well, no official price tag was revealed at the time of its announcement, but a the specific figures eventually surfaced. 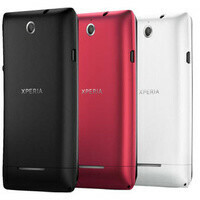 According to Sony Germany, the Xperia E will cost €159 unlocked, or €169 if you grab the dual-SIM version of the smartphone. That is approximately $205 for the former model and $218 for the Sony Xperia E dual. With a price like that, the Xperia E is shaping up like a cheaper alternative to the Xperia J, which we reviewed recently, or the phone to consider if you're looking for something better than the Xperia tipo. The Sony Xperia E is scheduled to be released in Q1 of 2013 and markets across Europe are expected to be the first ones to get it. Almost all companies now are spamming phones... that a good thing we can have a lot of choices... not like the others , if you know what i mean.